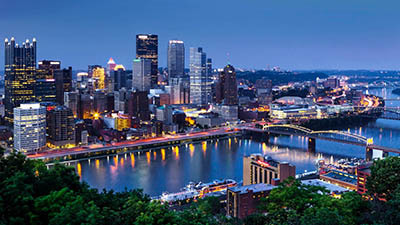 The 2019 Vector Summit will be held at the Sheraton Pittsburgh Hotel at Station Square, Pittsburgh's premier riverfront hotel. The deadline to reserve rooms at the special group rate has passed. Visit the Sheraton's website for more information on room availability. Contact vectorcontrol@naccho.org with any questions. Pittsburgh International Airport is 18 miles from the Sheraton hotel. Ground transportation options are available here. Union Station (Amtrak) is located in downtown Pittsburgh, less than two miles from the Sheraton hotel. View train station details here. Parking is also available at the Sheraton for $23/day.